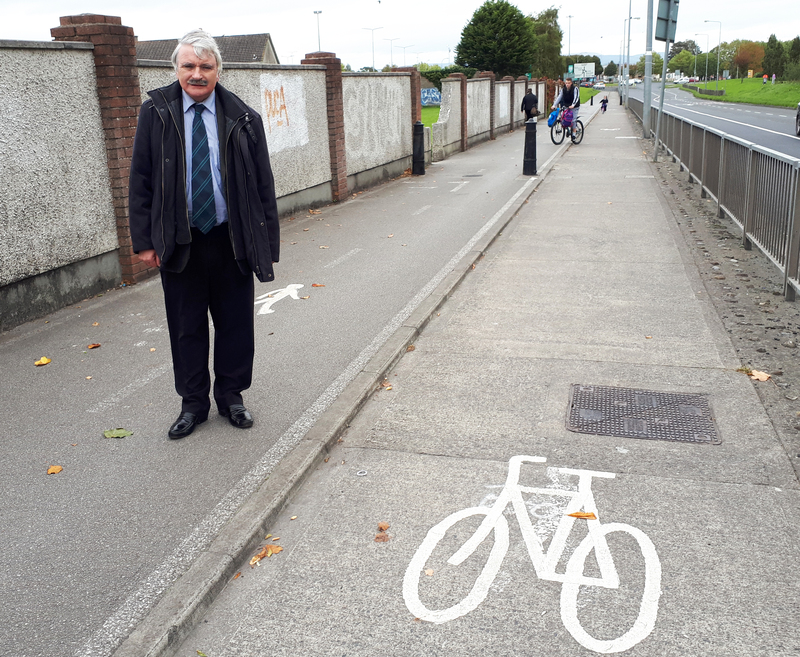 FIANNA Fail TD Willie O’Dea has praised Limerick City and County Council for switching the cycle path and footpath on the Childers Road near the Parkway. In an interview with the Limerick Post, Deputy O’Dea first pleaded for the switch to be made before a serious injury or death occurred. He made the call after a near miss when a grandmother and her grandchild were almost struck by a cyclist. “The incident I brought to light earlier in the year was just the latest near miss on this stretch of cycle path near the Parkway roundabout. Last year a woman was struck and was injured by a cyclist in the same area,” he said. “A cycle path and a footpath run alongside the Childers Road between the Parkway and Tipperary road roundabouts. The footpath was nearest the road and the cycle path was on the inside, running alongside Norwood Park. The city TD contacted council officials about the cycle path after a grandmother and her grandchild were inches away from being struck by a cyclist travelling at speed last April. “They confirmed what everybody can see, that the cycle path was installed in the wrong place. Initially, a developer constructed part of the cycle and footpath in error in the wrong order and the council extended it over the years. “I have to commend the council for rectifying the situation after all these years by switching the two lanes before anybody got badly injured or even killed. I don’t believe there was significant costs involved in this, as most of the work involved changing the markings on the footpath and cycle paths,” he explained.